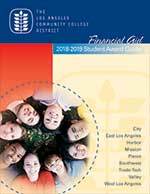 LACCD students must meet the SAP Policy detailed within the links below to be eligible to receive financial aid at any of the 9 campuses within the District. Students receiving financial aid enter into an agreement to make Satisfactory Academic Progress toward their educational goal. 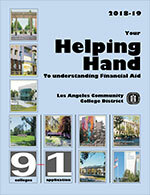 Failure to maintain these standards will result in the loss of financial assistance.